1. Squeeze the juice from the lemons, oranges and limes, if using. 2. 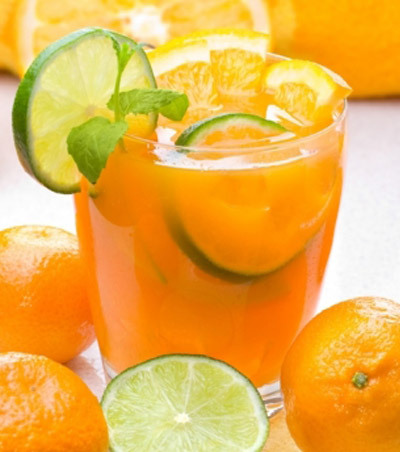 Mix the soda or plain water with the sugar and stir until dissolved and add to the citrus juice. Mix well and place in the fridge to chill. 3. Serve on ice with crushed mint and citrus slices.